I spent sometime searching for the right bed. Like Goldilocks, one was too hard, another too big, another too chintzy, only my list of rejects was much longer than hers! 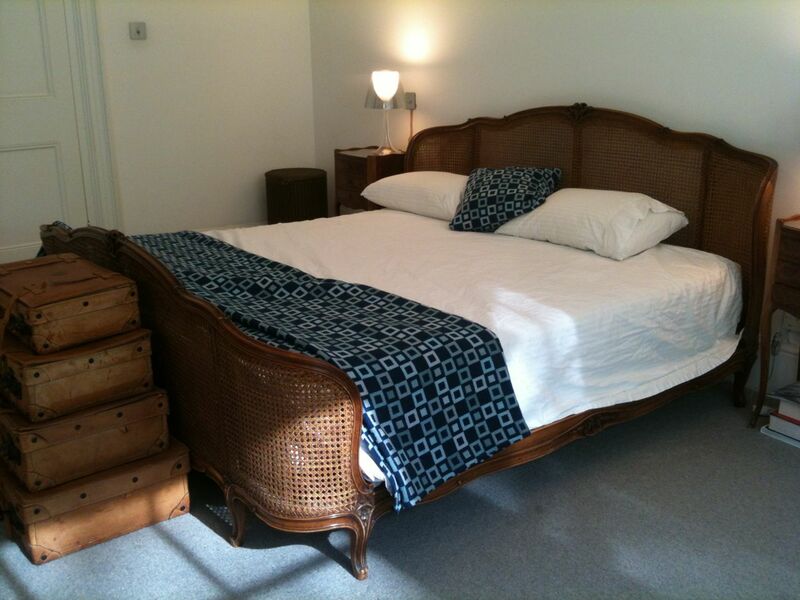 Eventually, I found a rare Super King-size vintage French bed from a supplier near Brighton. The French Depot is a family-run company that specialises in vintage French beds and antique furniture. They have a warehouse in St Leonards, on the south coast, and delivery nationwide. A similar, reproduction bed in from a popular online site was more expensive, so I was delighted to save some money, and gain some character buying vintage! Here is the bed modelling a Melin Tregwynt blanket and cushion.